In this painting by James A. 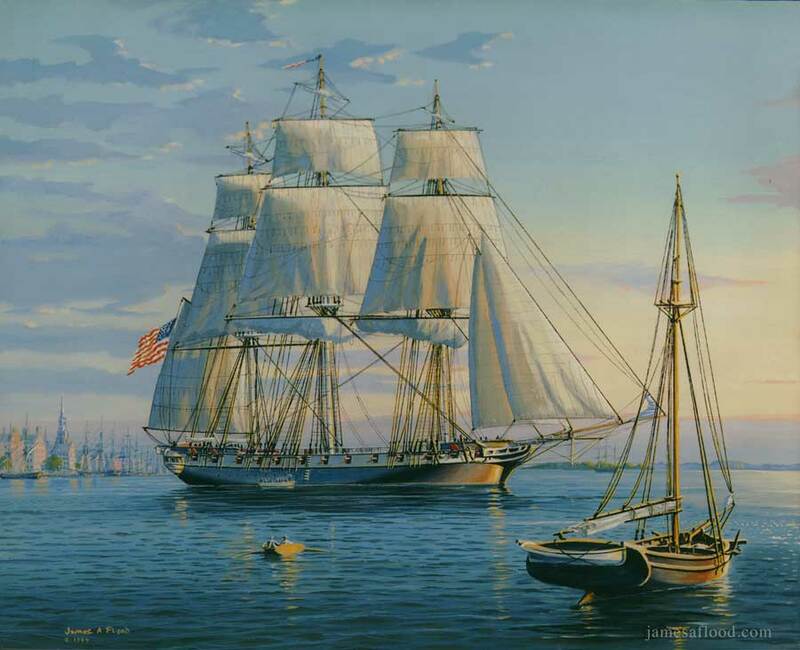 Flood, the sloop-of-war Boston is getting underway from Philadelphia, Pennsylvania around 1831. A shore boat is about to cast off from the starboard side. The ship is still moving very slowly (no problem for the small boat yet) and she is close hauled and tacking, as she has to clear the anchored boat in the foreground. The wind is on the Boston's port bow now, and it's a fine morning. She will gradually turn away from the wind and finally end up on a broad reach as she heads downstream.